Sometimes unexpected things turn out to be the best. Because it took so long to organize our Visa for Iran we spontaneously took a flight from Bangkok to Singapore and we really loved "the city of the Lion". We spent 5 days in Singapore which seemed like a good timeframe - enough time to explore the city without hurry. 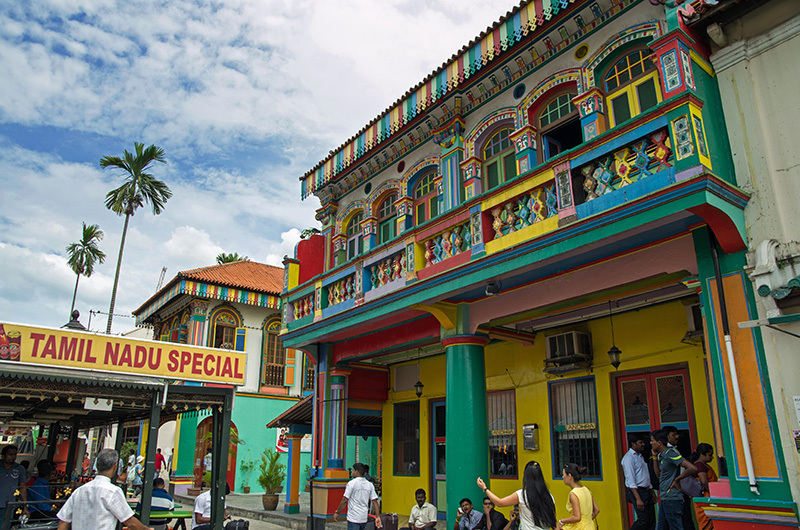 Singapore (once a British colony) offered a very nice mix of different cultures. First of all it's an Asian city but with lots of western influence. 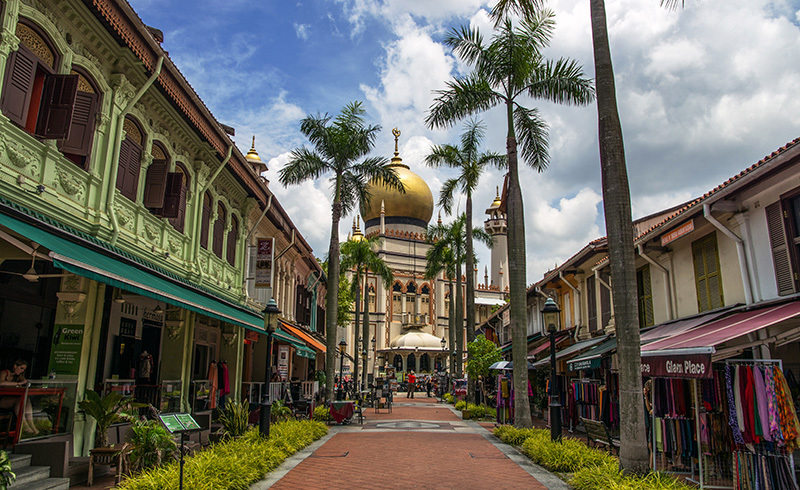 Then there is a large group of Indians and Arabs ( represented with the districts "Little India" and "Arab Street") and naturally there are dozens of other - mostly Asian - nations as well. Its a wonderful mixture and you can experience so many different cultures in one city. Singapore is a very wealthy city and in downtown and Marina Bay you will see many Ferraris, Mercedes and so on. A downside is that accommodation is very expensive. We had a small room without window, with mold (German: Schimmel), shared bathroom and still ended up paying 35 Euros per night - this was even more expensive than our room in Hong-Kong. We spent every day exploring the city, gazing at the impressive buildings, eating surprisingly cheap ice cream for 1 Singapore Dollar and ate delicious food at either a simple street restaurant or in one of the many hawker markets. Singapore is - like many cities - even more beautiful at night. We had an amazing time in Singapore and together with Hong Kong it is our favorite city in Southeast Asia. we had the feeling that Singapore was rather empty - only few tourists and most of the time the streets were also rather empty. Lunch breaks were a pretty strong contrast though - all the restaurants were completely crowded at noon.